On the 23rd August Elisa and myself came back to Crete for another week of archeological excavation, this time in Eleutherna with the University of Crete. Dr Christina Tsigonaki came to visit our excavation in Gortyna last month and she was very kind to invite us in Eleutherna. 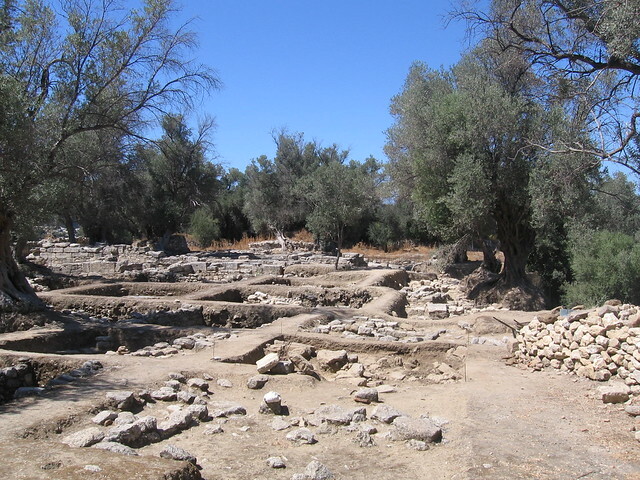 The excavations here are one of the best in Greece, also for the very good quality of publications. The work of Christine Vogt and Anastasia Yangaki on the ceramic finds from Eleutherna is a point of reference for my research, even if mine is based in Gortyna and the ceramic evidence is quite different, also judging from what I have seen in these first days. The excavation team is directed by Dr Tsigonaki and the people, all students from the University of Crete, are very nice ‒ it’s a pleasure to work with them and to learn some more Greek from their mouth. We start working at 7:00 am until 2:30 pm and finds washing takes place at the local school (now unfortunately empty) from 5:30 pm until 9:30 pm. The documentation system is based on SYSLAT, the one developed on the French site of Lattara/Lattes, and it’s not so different from others I have used before. Everybody is doing their own bit of everything (washing, keeping records, writing short descriptions of sherds, etc), there’s not much specialisation but it’s an effective way of teaching the basics of how to run an archaeological excavation. 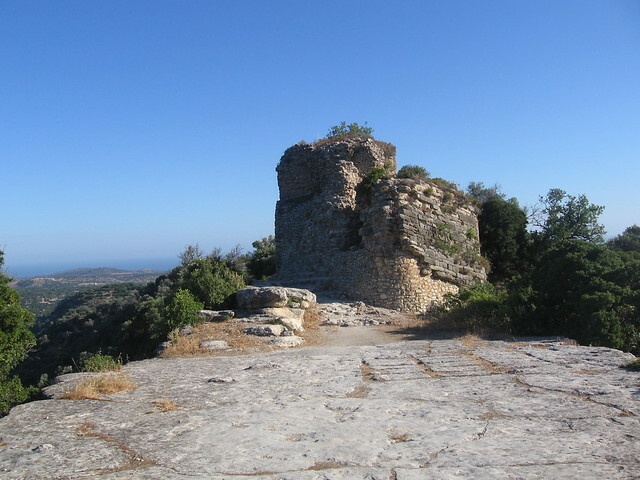 The Acropolis of Eleutherna is also an ideal archaeological context for looking at the development of “hilltop” settlements from Antiquity into the Byzantine era: this is in a few words Elisa’s research topic.